A jar full of calm, a DIY guide to creating your own, to help your meditation, relaxation or mindfulness practice. A Jar of Calm. If I could bottle it I’d have made a fortune by now. Sadly It’s not possible, although I do have a wonderful way to achieve similar results of sorts. 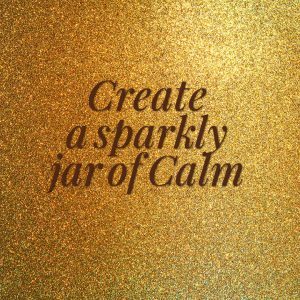 For those of you suffering from anxiety or stress, those of you attempting a mindfulness or meditation practice, this little sparkly trick will help you out. Sometimes in trying to be calm we simply become more stressed and lose the focus of what we are trying to achieve. I’ve always found it much easier if I have something to actually focus on, so many years ago I started to use a technique I actually originally made for a small child to help them to calm down. It was actually called the calm down jar. The little girl in question would get really stressed out often and the time out step wasn’t working for her, so I made her a shaker. She simply had to focus on the jar which represented her emotions, it was full of brightly coloured glitter and she would shake it up ( which was how she felt inside ) and would then sit and quietly watch it swirl around, slowly beginning to settle ( just as her emotions were doing as she sat quietly ). Once the glitter had settled, she had finished her time out and had calmed down incredibly well. There is something calming and hypnotic about a glitter shaker which is what prompted me to start using it for anxious clients and for myself in meditation. To use it you simply shake it, place it where you can really look at it and sit quietly watching it swirl and slowly settle. Once it has settled you should feel much less anxious/calmer/better focused. It can be used to calm down anxiety or to simply focus on for a mindfulness practice or meditation. 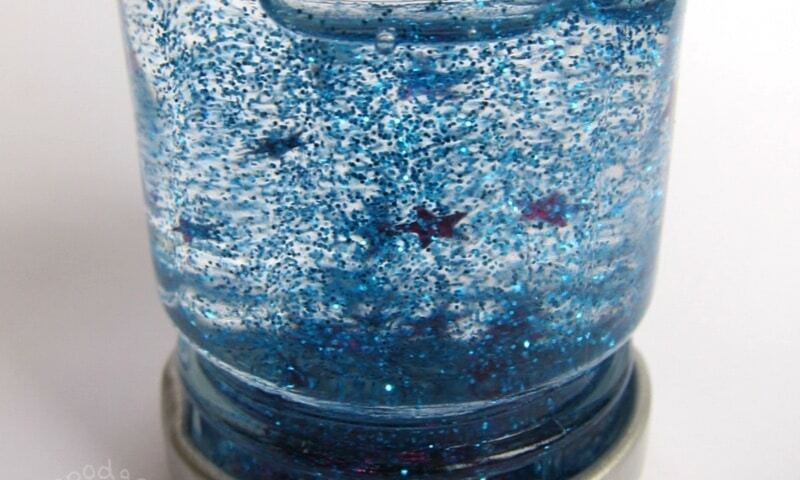 Shake your jar and time how long it takes for the glitter to completely settle. Usually around five minutes for the majority to settle is enough. If necessary add more glitter. Don’t make it too thick if you intend to use it for mindfulness practice, you won’t be able to see much. The larger sequins are excellent for meditation and mindfulness, you can focus on one and watch it’s journey through the jar. Choose your colours accordingly, blue and green and quite calming, red is quite stimulating. You can make a themed jar ( mermaids are quite popular based on blues and greens ) and my personal favourite is to add stars as my larger sequins ) Get as creative as you like. Then simply shake and settle. 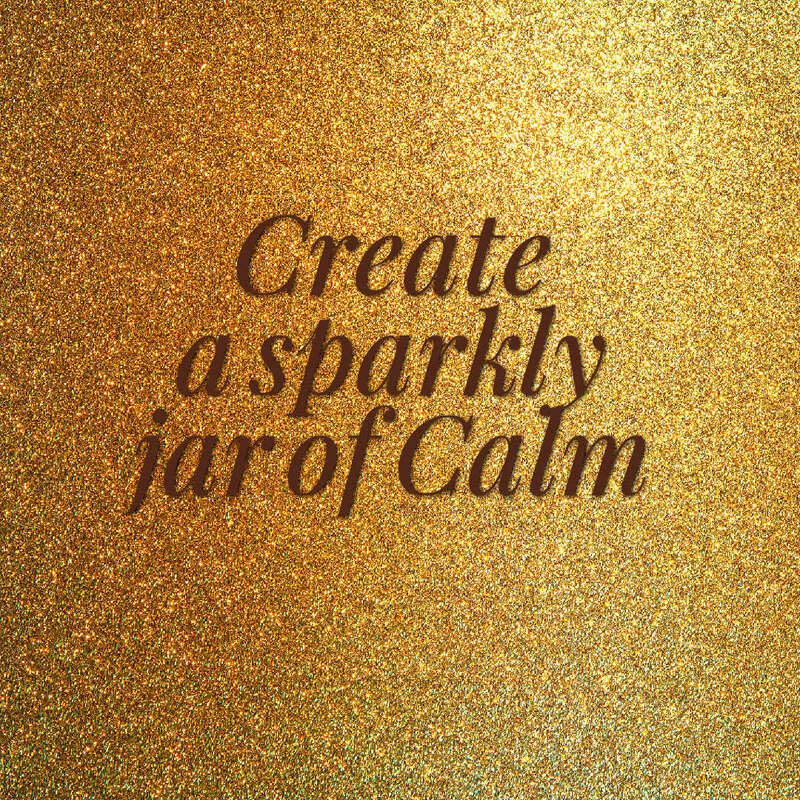 You now have your very own jar of calm. enjoy!